So here it is. The first ever #WhatIMade. Are you excited? I am. This is the linky for everything you have made: cooking, baking, crafts, things you have made with children- anything really as long as you made it. The other good thing about it is the things you have made don’t necessarily have to be finished. See one of my makes below. The linky will open on the first of every month and you will be able to link up a variety of posts (maximum three) or write a special #WhatIMade post where you can put links into it. The linky will therefore be open until a week on Sunday-October 11th. Please try and comment on at least three other posts as well as my own. So what have I made in September? I have done a few crafting exercises with Boo as part of us being ambassadors for Baker Ross. We made puppets to celebrate the Rugby World Cup, Autumn crafts and Halloween crafts. 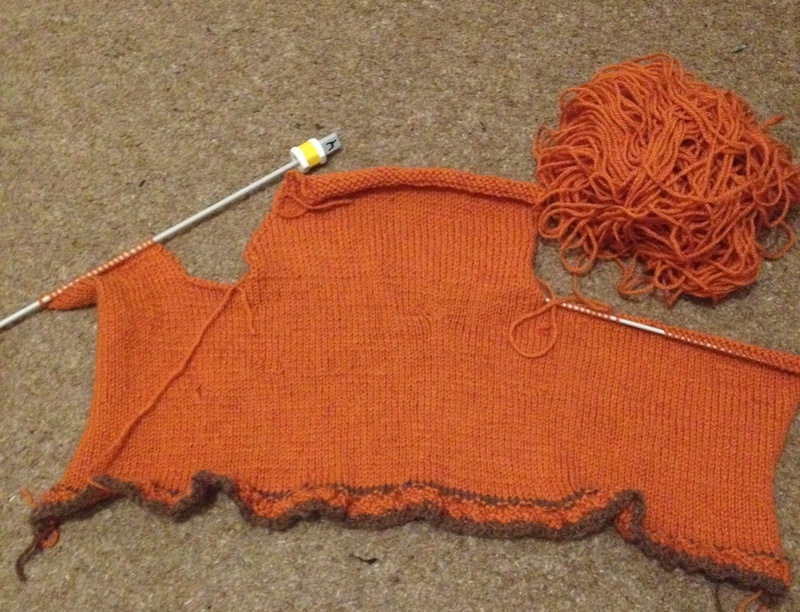 The main event however is my on going quest to knit Baby G a fox cardigan. You can read about the beginning bit here. As you can see, we are a little further on and I hope to have it finished by #WhatIMade October. I am starting to go to a knitting group on a Thursday morning so I think that will help. I have also started to make loads of pompoms for a craft idea I have had. 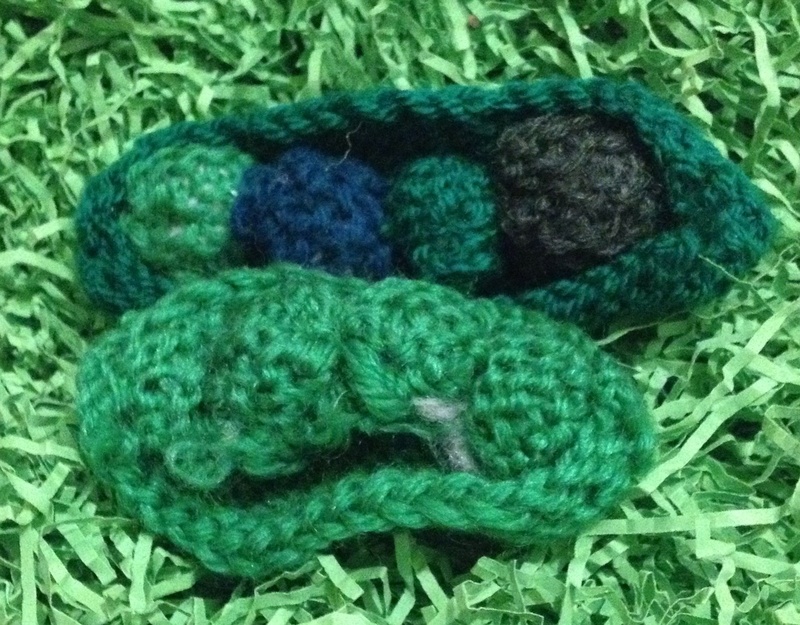 Knitted vegetables have also made an appearance. Father Christmas is bringing Boo a market stall so the veg will be for that. Up to now, we only have two peas in pods but I am hoping for carrots, corn on the cob and a zip up banana. So that is what I’ve made. Now it’s over to you. Grab the badge and hit me with your creative posts I can’t wait to see #WhatIMade. 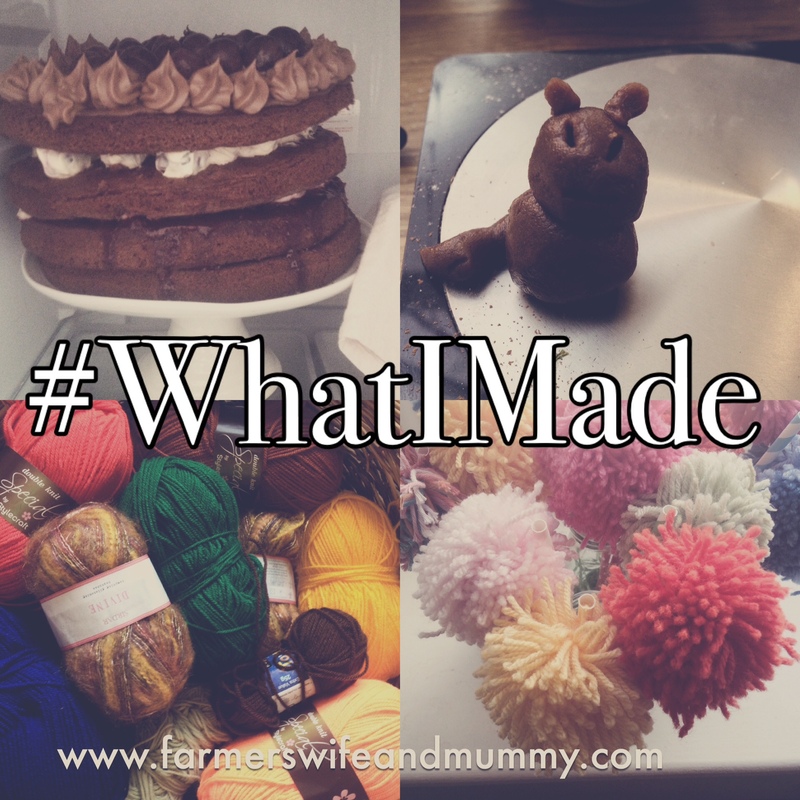 Tweet me @EmmaLander2 and don’t for get to use the hashtag #WhatIMade. Fab idea Emma I have a half finished cross stitch for the baby…. !